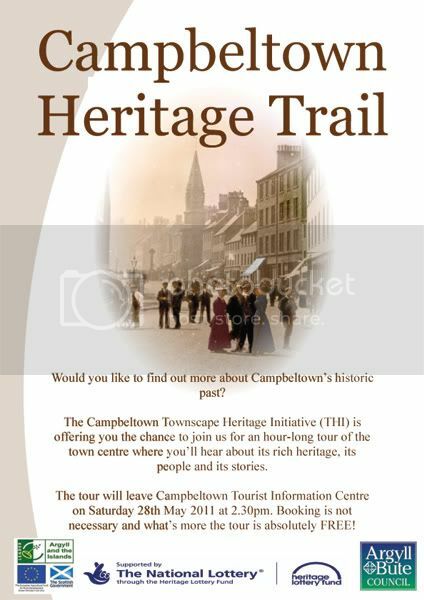 A historic tour of Campbeltown will take place this Saturday (28th May). The tour is completely free and will be taken by a local guide who will provide you with a brief history of the town centre, its rich heritage, its people and its stories. The tour will leave Campbeltown Tourist Information Centre at 2.30pm and is open to everyone.